The main concept of the Safer 3 is based on the definition of the word “Safe.” Safe means you are free from risk of harm or danger. When it comes to water, that simply isn’t true. There is always risk when you are in, on or around the water. The risk may vary in degree from very slight to very severe. 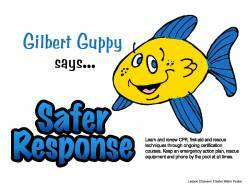 The letter “r” in the word “Safer” reflects that difference. Risk of drowning is found in 3 main areas; Water, a Person which we shall refer to as a KID, since we are all someone’s kid, and a Response that will become the last chance for saving a life. Safer Water means identifying where the risks are with any body of water (bathtubs, pools, spas, lakes, rivers or oceans) and learning how to reduce those risks. 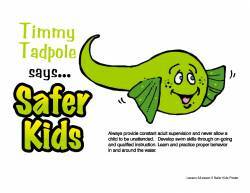 For example installing barriers such as isolation fencing around a backyard pool would reduce the risk of unauthorized access to the pool by young children. 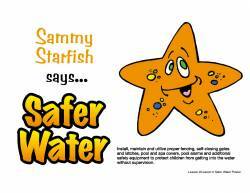 Over time, Safer3 Water Safety Foundation believes the Safer 3 will dramatically lower drowning incidents, possibly even eliminating unnecessary deaths altogether. With your help, we can realize that goal sooner rather than later.